MOSCOW: Russia conducted several ballistic missile tests on Thursday from “land, air and sea” as part of its strategic nuclear programme, the Defence ministry announced. 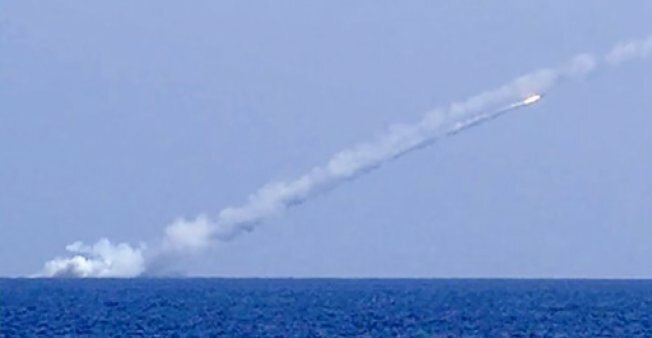 A “Topol” intercontinental ballistic missile was fired from the Plesetsk testing ground in the northwest of the country and three ballistic missiles were launched by two nuclear missile submarines (SSBNs), two from the Okhotsk Sea, north of Japan, and one from the Barents Sea, in the Arctic Ocean. Russian military forces “have carried out an exercise to manage its strategic nuclear forces,” the ministry said in a statement. Strategic bombers Tu-160, Tu-95MC and Tu-22M3 also took off from several Russian air bases and launched cruise missiles at “ground-based” targets in Kamchatka, eastern Russia, in the Komi Republic, in the north, and on Russian military terrain in Kazakhstan. “All objectives of the training have been successfully completed,” the statement said. In early September, Russia carried out joint military exercises with Belarus on NATO’s eastern flank, causing concern in Poland and the Baltic states due to the size of the drills and doubts over Moscow’s intentions. On Thursday, NATO members challenged Russia over “discrepancies” concerning the number of troops involved and the figures officially announced by Moscow.